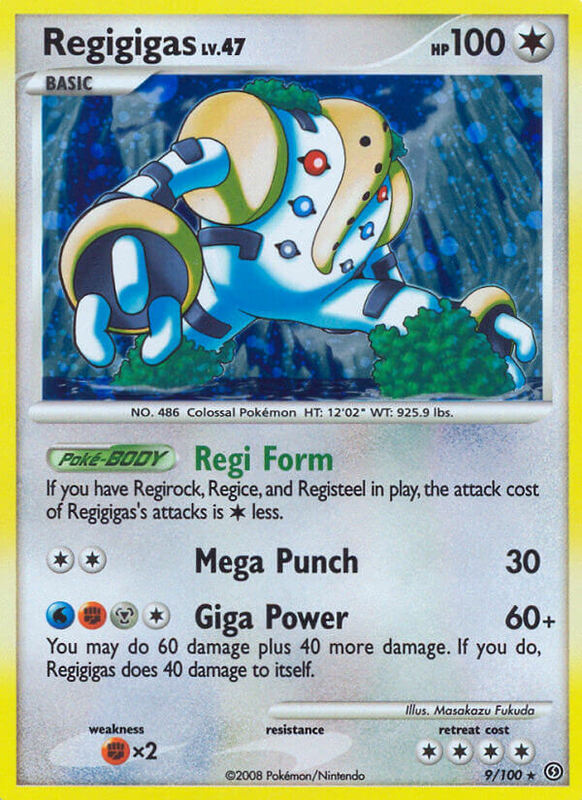 When you attach an Energy card from your hand to Regigigas, remove all Special Conditions from Regigigas. 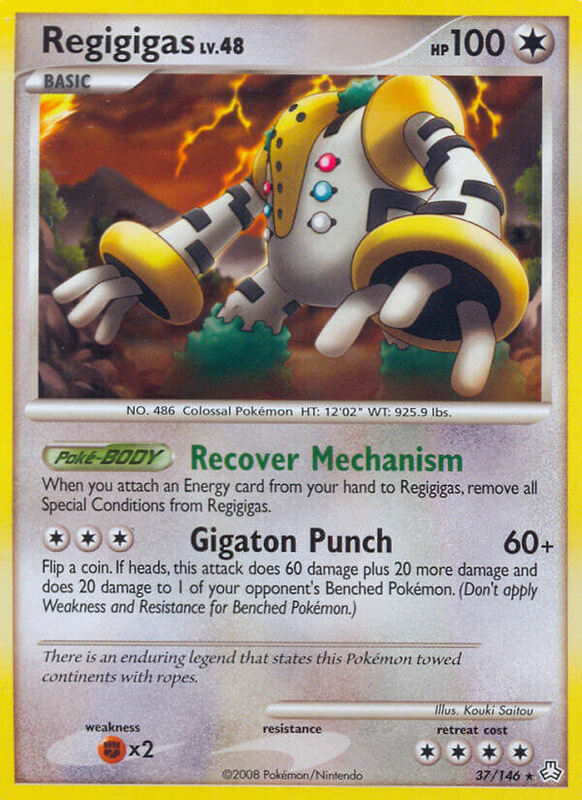 Flip 2 coins. 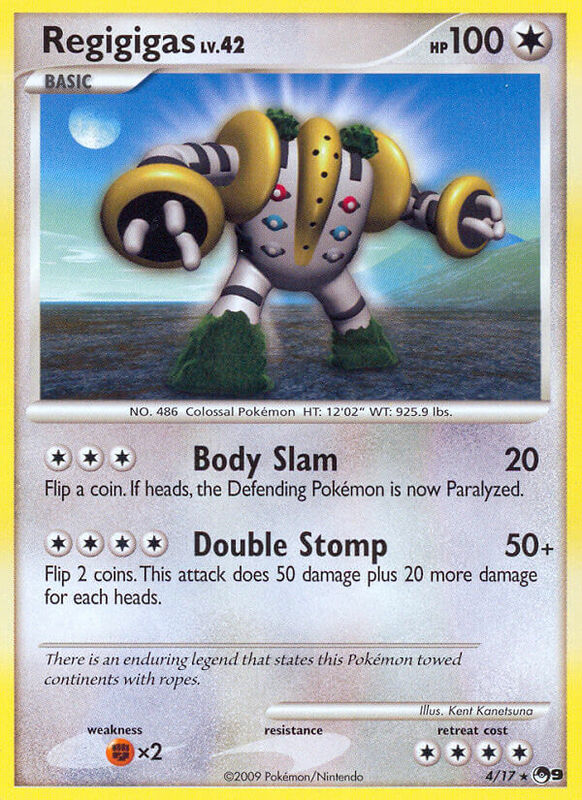 This attack does 50 damage plus 20 damage for heads. 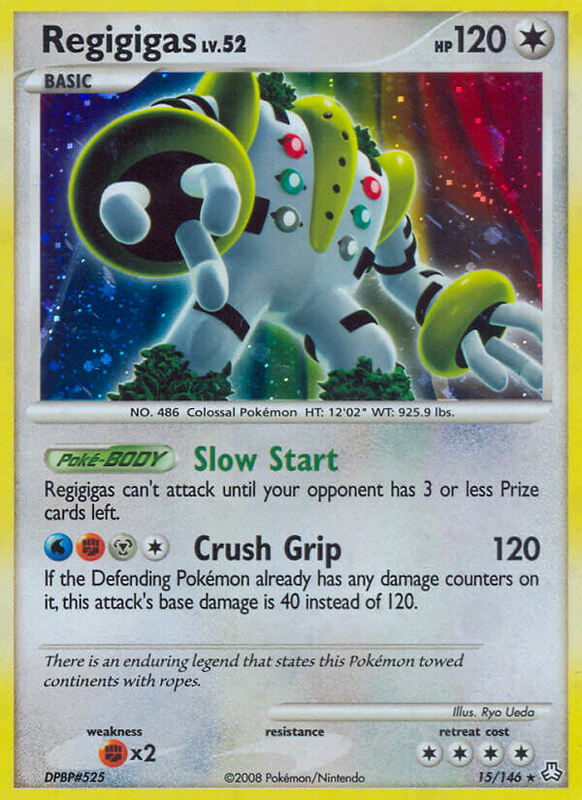 Regigigas can’t attack until your opponent has 3 or less Prize cards left. 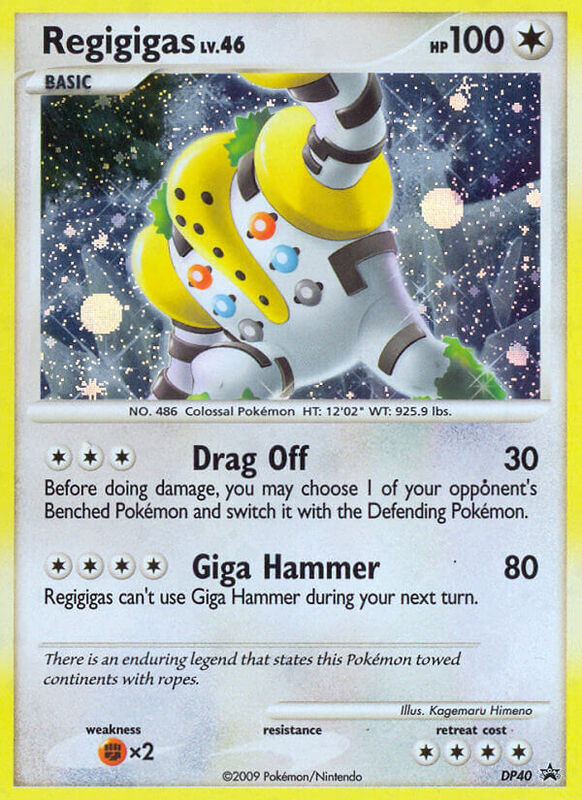 If the Defending Pokémon already has any damage counters on it, this attack’s base damage is 40 instead of 120.